Improve the cleaning of your ONIRIS® with NitrAdine®, the single effervescent clinically proven tablet that combines a disinfectant action, Anti-bio-film, Fungicide, Anti-Halitosis, Cleanser, Anti-plaque, Anti-corrosive, colouring and bleach free. Includes 60 tablets for 6 months of cleaning. 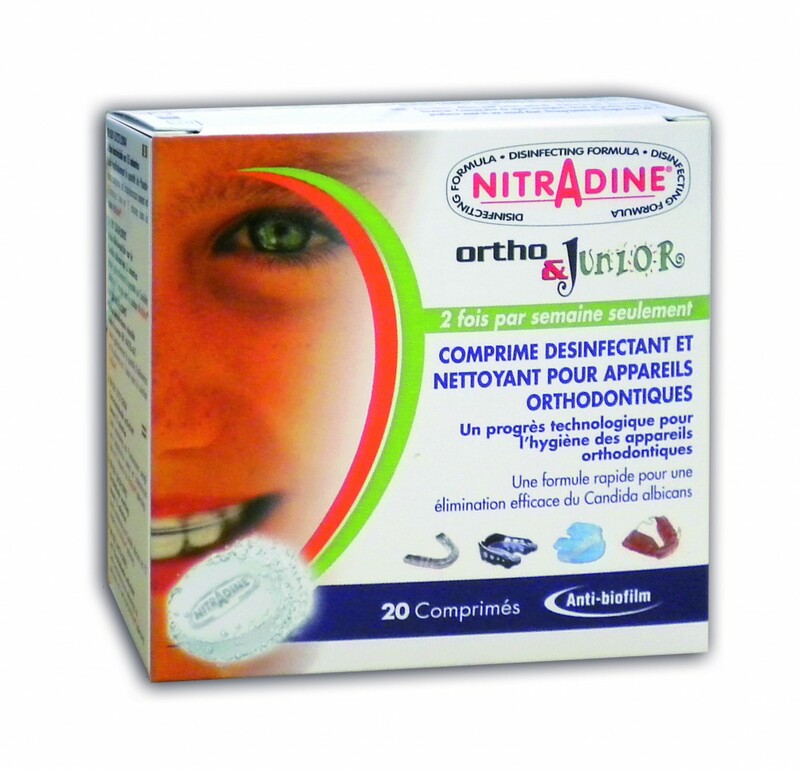 Nitradine – – Class IIb medical device indicated for the cleaning of your device – Read the instructions carefully before use. This medical device is a regulated health product that bears, pursuant to these regulations, a CE marking. sed nunc ipsum fringilla Curabitur commodo ut Aliquam risus. ante. non elit.